Jack Meligan is the founder and president of Settlement Professionals, Inc., a national plaintiff-only settlement planning firm. He is also the founder and managing member of Settlement Capital Advisors, LLC, a nationwide registered investment advisory firm, and The Plaintiff’s MSA & Lien Solution, LLC, a national plaintiff-only Medicare and MSP compliance and lien resolution service firm. In addition, Jack is the founding president of the Society of Settlement Planners. The Society of Settlement Planners is an association of settlement planners, structured settlement specialists, and special needs settlement-planning attorneys nationwide. Above all, they advocate for settlement planning to uncover and plan for the needs of injury victims and their families. Settlement planning incorporates a wide variety of income replacement strategies with wholistic financial planning and extensive trust planning. Including, but not limited to: Special Needs Trusts, Qualified Settlement Funds, Medicare Set-Asides, and Settlement Preservation Trusts. A 33-year veteran of financial planning, structured settlement, and settlement planning, Jack’s assisted plaintiffs and attorneys nationwide in major, high-dollar catastrophic injury cases. Specifically, with pre-settlement negotiations, lien settlement strategies and negotiations, and then post-settlement comprehensive planning using multiple, diverse products and strategies. At trial, Jack assists to defeat improper annuity testimony. In 2015, Jack obtained the Certified Medicare Secondary Payer Professional (CMSP) credential. The CMSP credential is designed to identify those professionals who work within the workers’ compensation and liability insurance industry. Specifically, insurance claims adjusters, attorneys, personal injury and special needs attorneys, life care planners, disability and rehabilitation management specialists, structured settlement professionals, and case managers. All of whom have demonstrated extensive knowledge regarding the development and application of the Medicare Set-Aside Allocation (MSA) process. In 2014, Jack obtained the Medicare Set-Aside Certified Consultant (MSCC) credential. The MSCC credential is designed to identify those professionals who have achieved specific pre-approved training in Medicare Set-Aside trust arrangements. Additionally, they have demonstrated a breadth of knowledge regarding the development and application of the Medicare Set-Aside trust arrangement process. Most importantly, this credential expresses to the consumer that the person holding the MSCC credential agrees to come under scrutiny of a certifying review board (CHCC), for peer review, and to adhere to a set of standards governing ethics and professional behaviors. Since 2003, Jack has been a pioneer in designing and implementing solutions for the tax dilemma that plaintiffs encounter when settling substantial taxable damage tort cases. 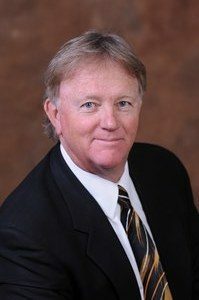 Jack is also a Board Certified Forensic Examiner (BCFE) in the field of annuity testimony, as well as one of the first Registered Settlement Planners (RSP) in the country. Jack lives in Milwaukie, Oregon with his wife, Kathleen. They have two grown daughters, a granddaughter, and a grandson.